These ten TL90’s will bring the current fleet up to date with up to 160 hours of uninterrupted operation. Robust, reliable and with low emissions, they will also ensure greater visibility and cost savings which will enable high performance on every level. CHS specified to add the dawn to dusk ECO sensor feature across all ten of the fleet which enables the lights to turn on and off automatically. This is a vital feature as the majority of business comes from local industry where shift patterns of workers means lights are left on all day in remote areas. 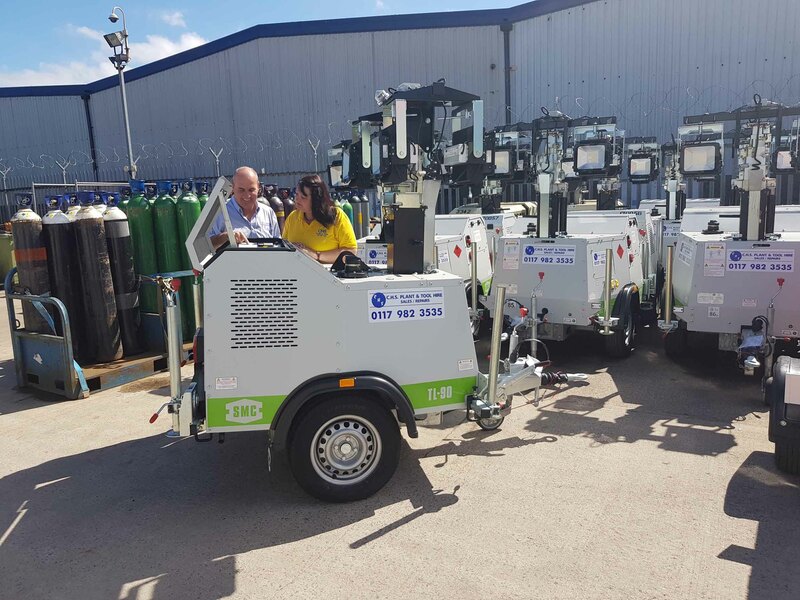 The Bristol-based hire company have been trading in the hire industry for many years, specialising in hazardous environment equipment, pipe cutting, tank lighting and metal preparation. The ten machines have already been hired out to light the way at Bristol’s Balloon festival last month, illuminating the walkways and car parks for visitors as they made their way to and from the event. Morris Site Machinery supplies specialist hire companies across the UK with safe and reliable equipment and top level after care service.